How many of us have looked at another and wished to have his or her life? This is the way Frances Reid feels about Emma Dunham, the new headmistress of the elite California school where Frances works as a speech therapist. Frances thinks Emma possess the perfect existence. Not only is she beautiful and dresses to perfection, but she is also successful in her career and appears to be blissfully happy in her marriage to top it all off. Meanwhile, Frances was just recently dumped by Ryan Ferrell, her lover of two years and a teacher in her school. The man she thought she would marry is now with someone new, and Frances wonders if she will ever live a “happily-ever-after” life. Relying on her close friend and colleague, Jill Fleming, to help her through the rocky spots, Frances realizes all Jill intends to do is play matchmaker. Jill is in a happy marriage and hopes for the same for her, but Frances cannot seem to get over Ryan. That is, until the night of the first day of school, when everyone decides to go to a local pub for dinner and drinks. Frances—accompanied by Jill, her husband Martin, and faculty member Lisa Campanari—meets Grady Davis and Sam Earley, architects hired to work on the school’s expansion. 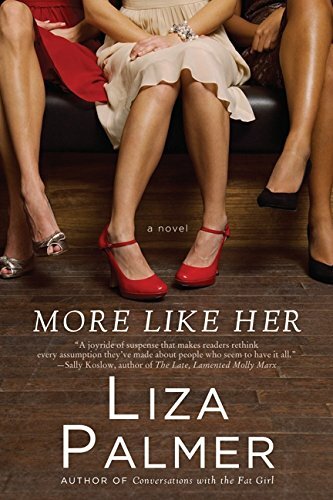 Lisa sets her sights on Grady, while Frances finds herself drawn to Sam, even though she surmises nothing could ever come of a relationship with him, for she believes he’s out of her league. Their meeting is somewhat rocky, Frances tongue-tied and nervous, but nonetheless attracted to the handsome newcomer to Pasadena—a Tennessee transplant with the manners of a refined southern gentleman. Jill detects the chemistry between Sam and Frances and tries to do everything in her power to get them together. Then on Emma’s birthday, a party is held for her in the faculty lunchroom. When everyone gathers to celebrate, Frances finds Emma ecstatic, her happiness due to Frances, who had suggested Emma return to painting she’d abandoned after marriage. Frances is also delighted to learn she is being promoted. But the exhilaration does not last. Soon after the party begins, Emma’s husband Jamie arrives, and before anyone realizes what is happening, he pulls out a gun and kills Emma. Three friends share their fears and secrets making More Like Her an intense contemporary novel of kinship and learning the grass is not always greener on the other side of the fence.